You can . Click here . to view Application Form in full screen mode. 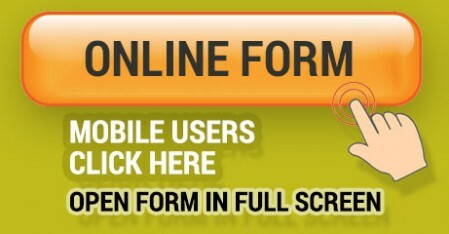 You can directly fill & submit Application Form through your smartphone. 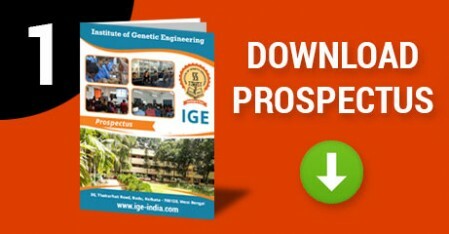 The Demand Draft is to be created in the favour of "Institute of Genetic Engineering", payable at "Kolkata"
. Click here . .to download Application Form. We are the First College in West Bengal started Biotechnology and Genetics courses. Accredited by “NAAC” - National Assessment and Accreditation Council. We are the only College in Eastern region of India with fully equipped world class laboratory. IGE Students are successful placed in Ranbaxy, Dr. Lal PathLabs, Merck, Xcelris, Abbott, Nestle, Omics International, Himedia, SRL Diagnostics etc. Minimum qualification for admission to the above programs is 10+2 passed out candidates from Science stream from any recognized Central/State Board of Higher Education from India, Nepal, Bhutan, Bangladesh. All 10+2 passed candidates may be enrolled for admission after submitting the application form duly filled in. Applicants who are awaiting their 10+2 results may also apply. Smart Phone users - You can "Pinch to Zoom" to view the table content clearly in your mobile. The main target group is that of graduates in the life sciences or physical sciences (Honours or equivalent) who wish to pursue a career in genetics and biotechnology either in industry or academia. The program may also be suitable for those with a background in Btech Biotechnology who have a strong interest in higher studies. The forms will be supplied only on production of the original mark sheet. Following documents are to be submitted along with the duly filled application form. Xerox copies (attested by the head of the institute previously attended) of mark sheet and admit card of the examination passed. Admit card / Certificate of Madhyamik/ Equivalent Examination. Five copies of recent passport size photo. No application form will be accepted without the documents supplied in the right order. The last date for the submission of the admission form should be rigidly maintained. Students are advised to select their course of study and subject with sufficient care. Change of subject is allowed only once and that only within one month from the date of admission or within the date of admission or within the date of notified. The admission subcommittee formulated rules for admission following the guideline of the WBUT. The admission of the S.C/S.T candidates is regulated by Govt. norms. Special consideration in admission may be made to those students having outstanding performance in games and sports. Students coming from states outside India and other University for PG course, if admitted, must Submit a Migration Certificate within 15 days of admission.